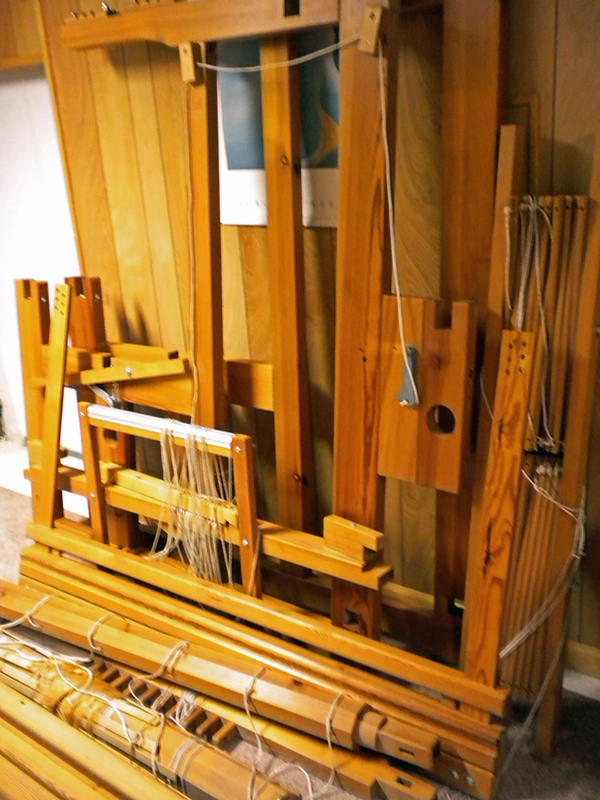 I’ve never been one to name my looms – or cars, or any other tools. I just called them by their brands—the Harrisville, the Baby Wolf, the Glimakra. But now I may have rethink that. Junior is a 10-shaft Glimakra countermarche with drawloom. Junior hasn’t been assembled or woven on in over 20 years. 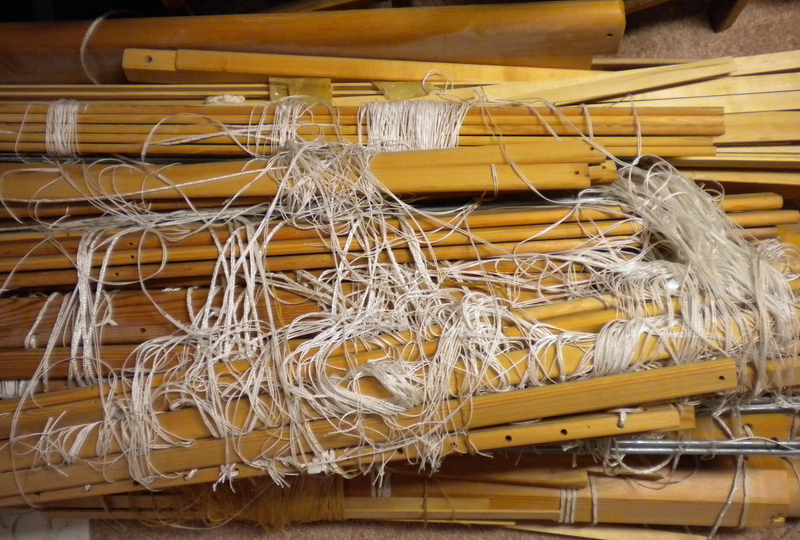 This past weekend I picked up Junior from someone who used to weave lovely things before I even learned to weave, but who regrettably is unable to weave now. Junior has been moved several times by “moving guys” who didn’t know looms from lumber. Junior is dusty, tangled, and jumbled. So I spent my weekend cleaning the pieces and puzzling over what goes where. Some pieces are missing. Some are of an earlier design than my current Glimakra and I have to figure out just how they go together. But the wood is starting to glow again. Why “Junior”? Because this “new” old loom is slightly smaller than my first Glimakra, one I will now have to refer to as “Mama” because she came first. Junior is 47” wide compared to Mama which is 53” wide. Junior has 10 ground shafts; Mama has 12 ground shafts. Even though Junior is older, Mama has lived with me longer. With some elbow grease and pondering, Junior will eventually look more like Mama. And then I won’t have to rethread every time I want to change weave structures! What do you call your looms?